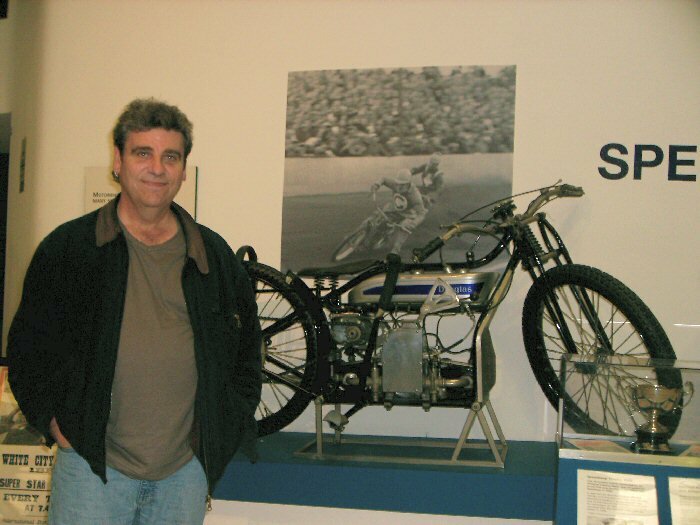 I often get questions from visitors to my www.defunctspeedway.co.uk website like thye following: - Would you know the names of any speedway drivers killed at Stamford Bridge? My grandmother never revealed the name of my mother's father. When pressed all she would say is that he was a speedway rider who had killed in a crash at Stamford Bridge. I have no way of knowing if the story was try, but given the limited period racing took place there, it is a possibility. So can you help? I have received a few items for my Defunct Website which thankfully I am not having to add Newcastle to. The items relate to a long defunct southern track, namely Ringwood Turfs. There is a Ringwood team photo with a rider called Tommy Worrall. Does anyone know if he was a relation of Stevie and Richie? When Should I Add Newcastle To The Defunct Speedway Website! A very touchy subject but here goes. The trend in recent years has been for noticeably less supporters in the stadium every year so it comes as no great surprise that a Newcastle Promoter is putting doubt in our minds about the team continuing in 2018. The promoter says: “If people want to see Speedway at Newcastle in 2018, please come and show your support for Monday nights starting on October 9 (7.30) when we race the 2nd leg of the Knockout Cup Quarter final against Glasgow.” I totally agree and it shouldn't matter whether a match is on Sunday or Monday now should it? Some supporters may be working on Monday nights and others may not feel happy bringing their kids out on Monday night instead of their preferred Sunday. We need to respond to the promoter's concerns about badly supported Mondays by turning up this Monday 9th October 2017 at 7.30pm to give him a clear message that we will support the team any day of the week. Now my daughter and I will need the promoters to give us a clear message that we should renew our season tickets as we won't feel happy doing that if 2018 is in doubt! Hah No! I want George to continue as our boss of the continuing but financially ailing Newcastle Speedway and not be the boss of the given up Defunct Diamonds, but if there are no funds for the 2018 campaign then we should close down with dignity and grace and be remembered as a great old venue. If closing happens, be assured that Brough Park will not be allowed to stage speedway again and where does that leave us? There are no other venues that speedway would be able to start up in. I know I am the only person on this forum expecting Newcastle to close down and I really hope I am wrong so come on Newcastle Speedway put something on your website to explain the current situation are we running or are we not? woe woe and thrice woe! it's not nice being the guy with his finger on the button! There has been a deafening silence via the official Newcastle website so are we celebrating too soon I wonder. Perhaps it is still a case of "we may run" or "we may not run" I wouldn't fancy playing poker with George! Yes Ruff, my index finger has been hovering over the send button for a few weeks, a bit like Donald Trump and the nuclear button, but great I can take my finger off the button now and I hope mr Trump is never faced by such a worrying thing as adding the Diamonds to the Defunct Website He would blow it! I like the thread title but anyone who doesn't like it should exercise their forum rights and start a "positive thread title of their own" YAWN! The takings at the cafe under the grandstand must be considerable judging by the number of people with chips and burgers! Is it all profits to the landlords or does the speedway make anything from the sales? If the "dogs" (no not hotdogs!) pun intended, get the lion share, or all of it, perhaps this could be a bargaining "chip" another pun intended, when trying to get them to lower the rent to help speedway keep going. What date is the promoters meeting scheduled for?